The Ten Commandments of Personal Branding – Part 1. 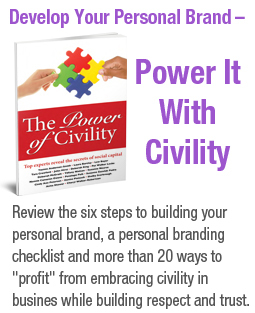 Subscribe to my monthly image and branding newsletter for a FREE download of the eBook, Develop Your Personal Brand - Power it With Civility (appears in the book, The Power of Civility). © 2019 Yasmin Anderson-Smith, Image and Brand Builder. All Rights Reserved.